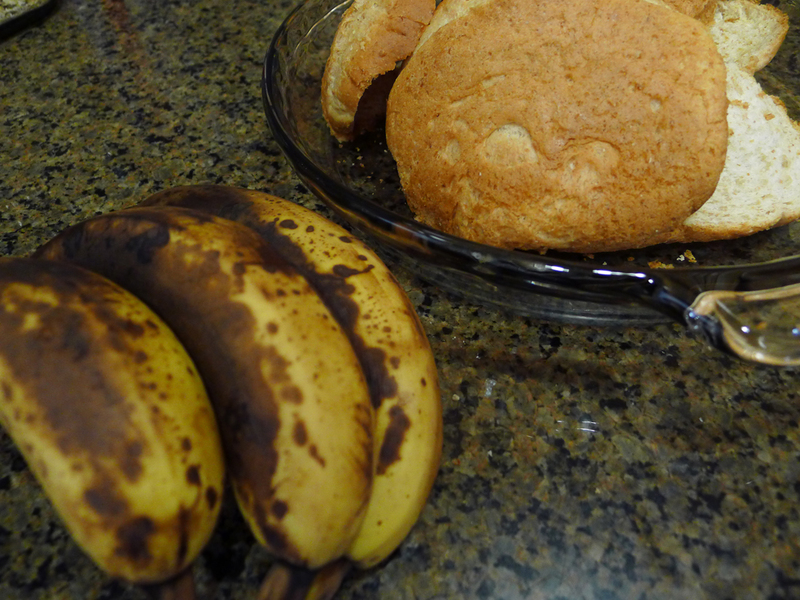 Every month, at least once, I make banana cake because of over ripe bananas sitting on the counter…they are so ripe you don’t want to eat them just like that, not to mention the skin discoloration that makes them so unattractive( though I know they are at their highest stage of health and nutritional benefits ). 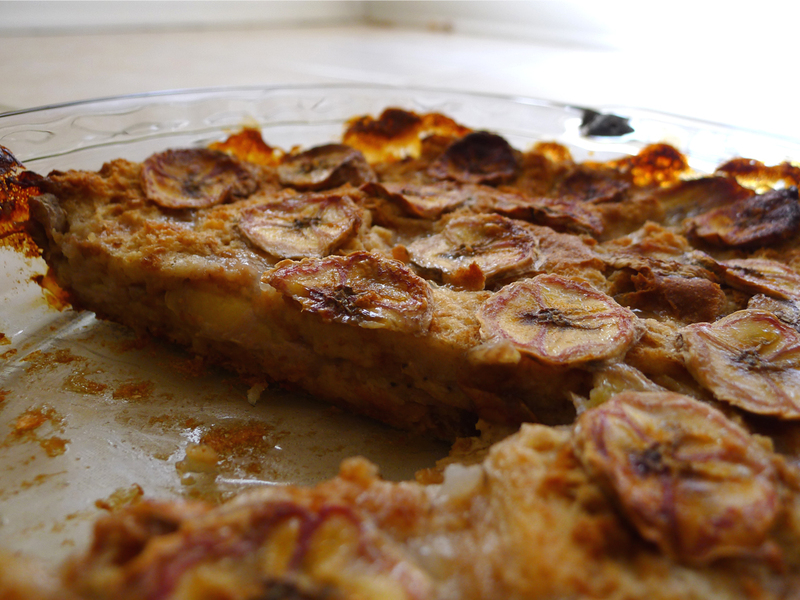 Then I started thinking about trying new recipe for those over ripe bananas and this one is very easy and good, this is actually Vietnamese dessert I had couple months ago. After comparing recipes, here is my version. Enjoy! 1.Roughly chop/ dice 4-5 slices of bread ( I used bread end, this recipe is also good for making use of bread ends). 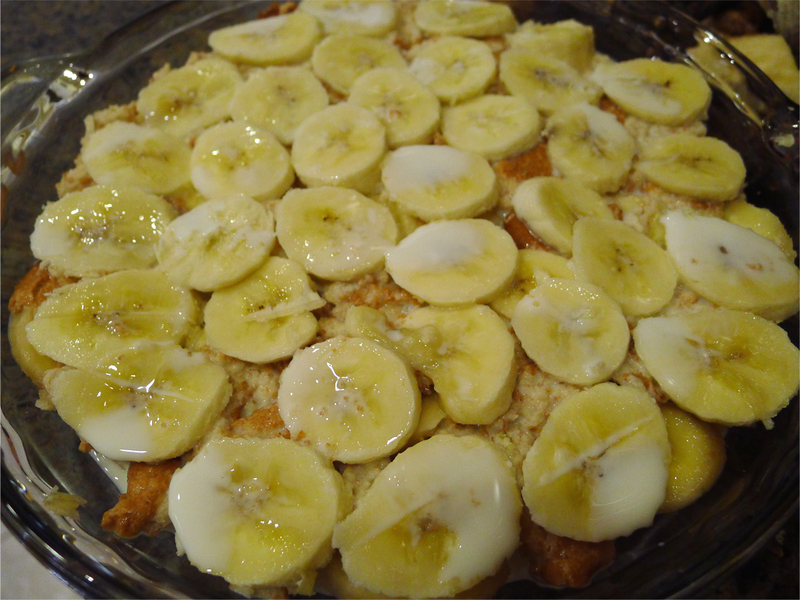 thinly slice 4 bananas, set aside. 2. Combine 1 C coconut milk, 3/4C water, and 2 tbs sugar (more if you like sweeter). Soak the bread ends into the mixture for about 5 minutes. 3. 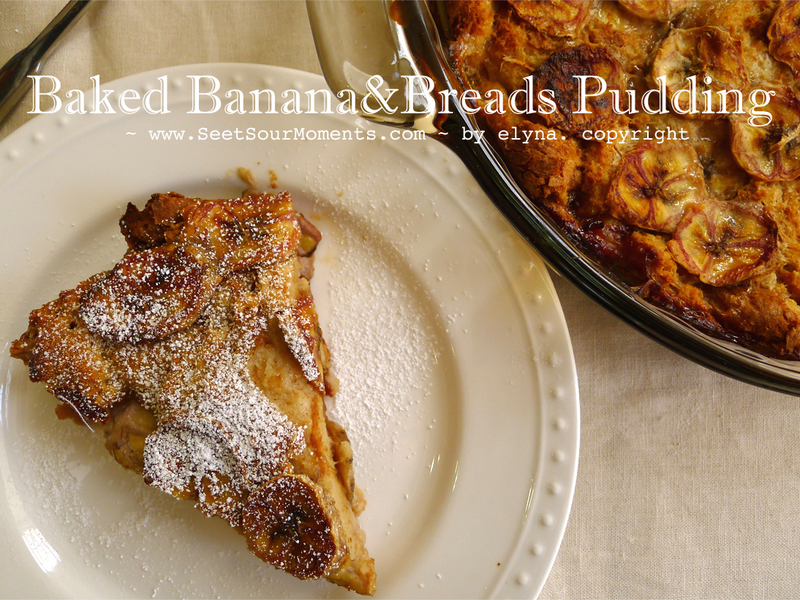 Arrange the sliced bananas in a layer alternatively with the soaked bread in the pie plate, baked for 20-30 minutes or until the top is golden brown. I’ll be trying this! Looks delicious.